This Monday will mark the 25th anniversary of Voyager 2’s visit to Neptune, its historic close approach to the distant ice giant having been made back on Aug. 25, 1989. To mark the occasion, the Lunar and Planetary Institute has released a newly-restored, high-resolution map of Triton, Neptune’s largest moon and the last solid body to be visited by Voyager. In addition to commemorating Voyager 2’s visit, the new map of Triton is also a sort of “teaser” to how we might expect to see Pluto and its moon Charon when they’re visited in July 2015 by New Horizons – which, by the way, will coincidentally be crossing the orbit of Neptune on Monday, Aug. 25. This is our best view yet of Triton’s surface; the new map has a resolution in some areas as fine as 1,970 feet (600 meters) per pixel! That really gives an idea of what it would have been like to be riding along with Voyager 2, twenty-five years ago! Discovered in 1846, Triton is Neptune’s largest moon – even larger than Pluto at 1,680 miles (2,700 km) wide. 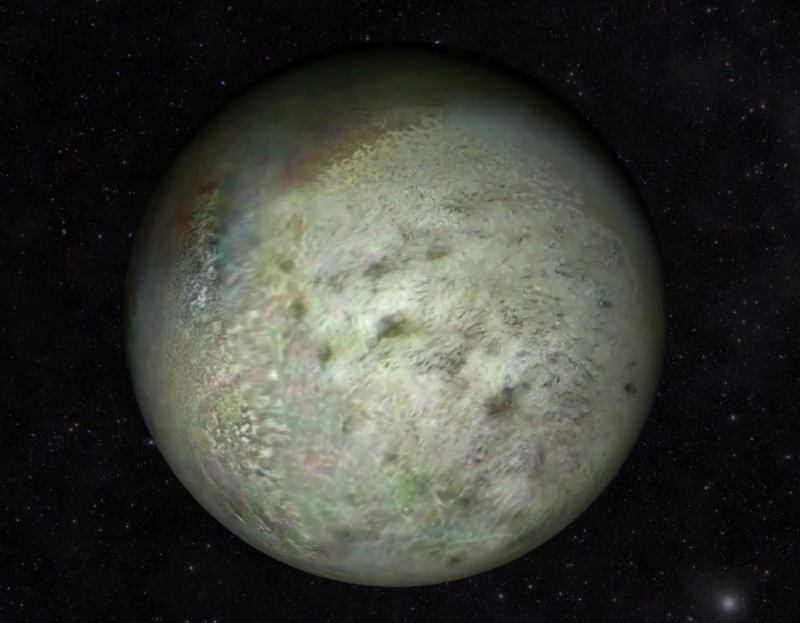 Triton is a dense world of rock and ice and was likely once a Kuiper Belt Object, like Pluto. It has a very thin atmosphere composed of nitrogen and methane, fed by seasonal solar radiation as well as ongoing volcanic activity. Learn more about Triton here. Triton the moon of wonder sharing new information to Voyager 2 – love it! 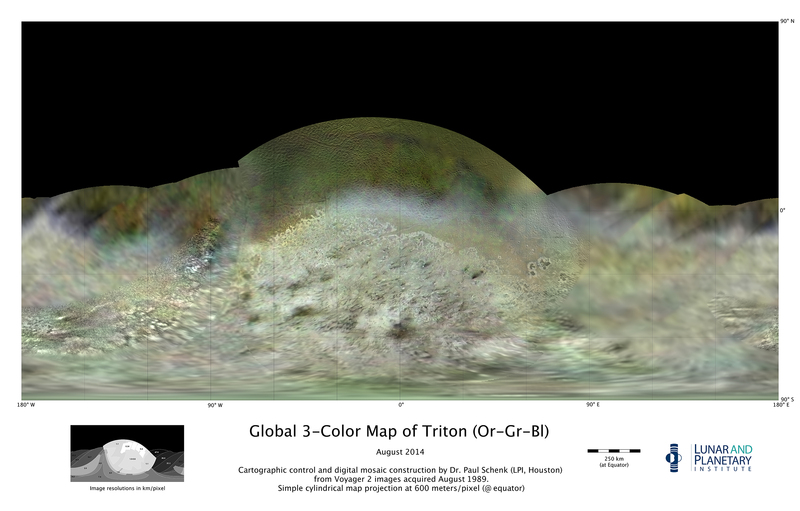 Some great new information about Triton.. Boy! What a place to store your beer so nobody else can get to it! LOL! A very interesting video and read as well; always good for a refreshers course; some stuff in there I didn’t know either and I’m an Astronomy buff! Great post!